This recipe first appeared on One Chef One Critic on Super Bowl 50 Sunday, a day of tremendous victory for the Denver Broncos. It also happens to be the perfect nosh for TV sports (i.e. football) viewing! 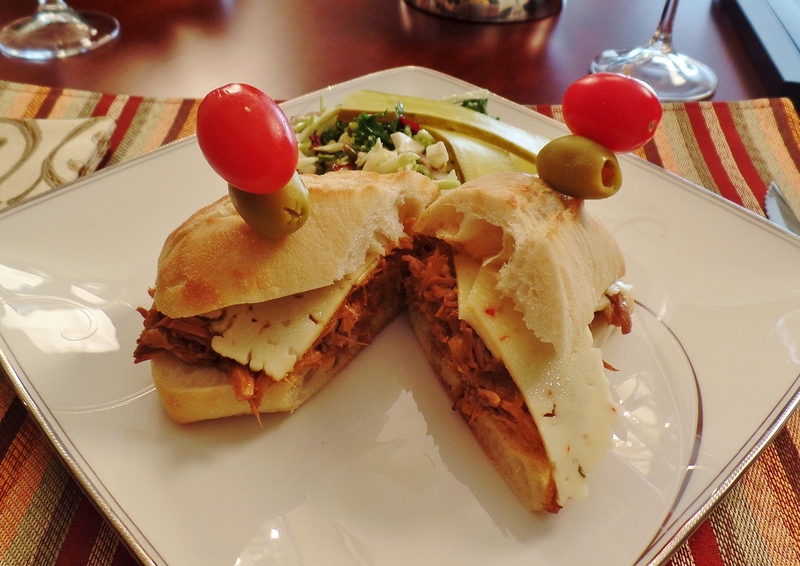 Our guest, CBC Radio’s Anthony Germain helped us prepare this fabulous pulled pork sandwich. Anthony loved the succulent slow cooked pork filling as much as we did.